Are you looking for roof repair in the DFW area? SPC Construction and Roofing is your premier local roofing contractor. We proudly serve the areas around the DFW metroplex, including Euless, Bedford, Southlake, Frisco, Plano, Grapevine, and Colleyville. We specialize in residential and commercial roof repair. This is a piece that runs horizontally under the roof edge. It’s the trim piece that finishes the roof edge and connects the roof to the gutters. It’s made to protect the roof from water. Moisture is the number one issue with fascia. So, if water gets into the fascia, it can cause some major damage. Flashings seal any area where shingling or other coverage isn’t possible. It seals spaces or voids. They are often made of aluminum or galvanized steel. Bad weather and rusting are usually what causes flashing to fail. Most professional roof installers, like those at SPC, will cut flashings for a custom fit. Gutters carry water away from your building’s foundation. It’s crucial to maintain your gutters. If they become useless due to debris or leaks, water can get into your foundation and leak into your house. Some signs your gutters need work: they are bowed, you notice water overflowing from the gutter, or pieces of gutter are missing. Soffit is the area beneath the roof overhang. Most soffits are made from vinyl but some are made from wood. They can be painted interesting colors to decorate your home. Soffits are important to attic ventilation and preventing rot in the rafters. When you work with SPC, our team will look for rot, cracks, and holes where water and critters can get inside the home. Let SPC be your partner in home improvement. Our team can help you maintain and repair any parts of your home’s roofing system. Commercial roofing damage is a little different from home roofing. Commercial roofs are often made from rubber or thermoplastic membranes like TPO or PVC. 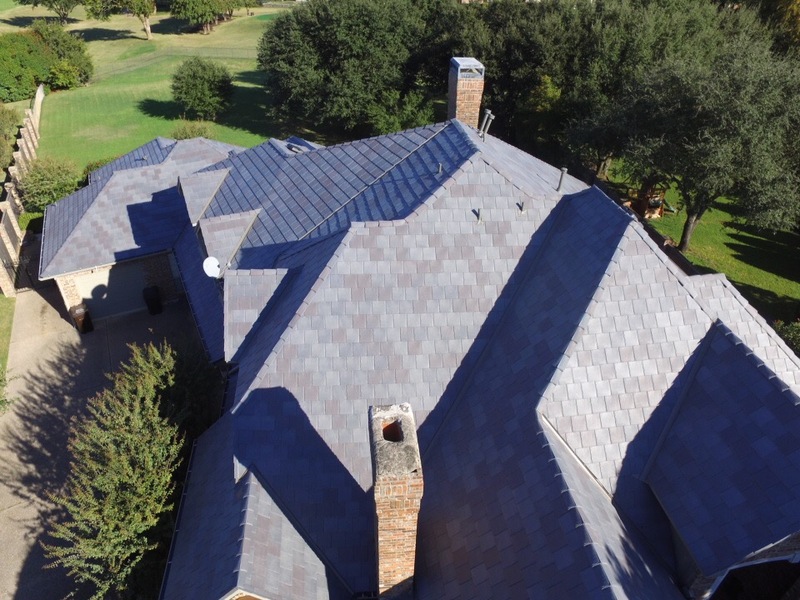 These reflective, durable roofs are strong but leaks from storm damage or age can happen. Thankfully, TPO and PVC roofs are seamless, so cracks and issues are much easier to find. For those companies with asphalt or gravel roofs, the SPC team knows how to handle locating cracks or leaks in order to repair them. Whatever your needs or the size of your commercial structure - from a small office building to a distribution center - SPC can assist you. With companies always looking to save money and prevent interruptions to their business, SPC Roofing finds ways to help save money. Our experts offer recommendations based on the type of building, nature of business, and other economic factors. Are you ready to have your home or company’s roof inspected? SPC Construction and Roofing offers free roof inspections. The process is simple, and we’ll provide you an estimate. Once your budget is established, we’ll agree on final pricing. Schedule your free estimate today.